The first few sideshows for the inaugural Good Things festival have just been announced. And for a change, it's the often neglected Perth and Adelaide who have scored the shows. 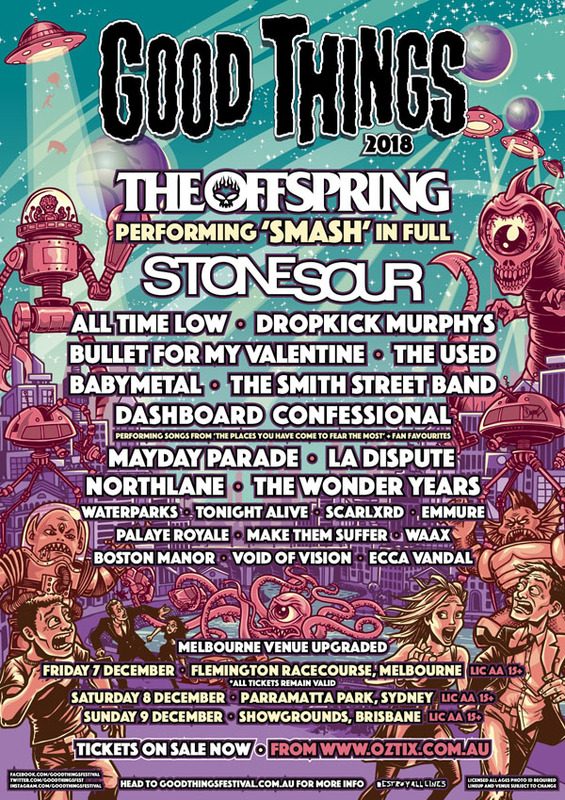 First off is Dashboard Confessional, playing their breakthrough album The Places You Have Come To Fear The Most in full, for the first time in Australia. Next up is Mayday Parade, who bring their Welcome To Sunnyland tour Australian shores.